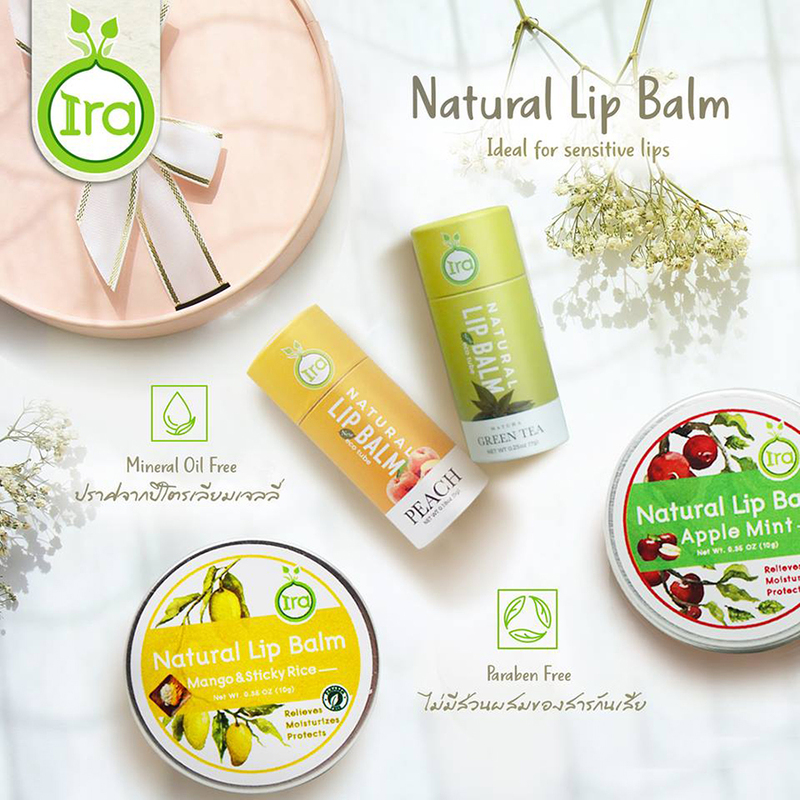 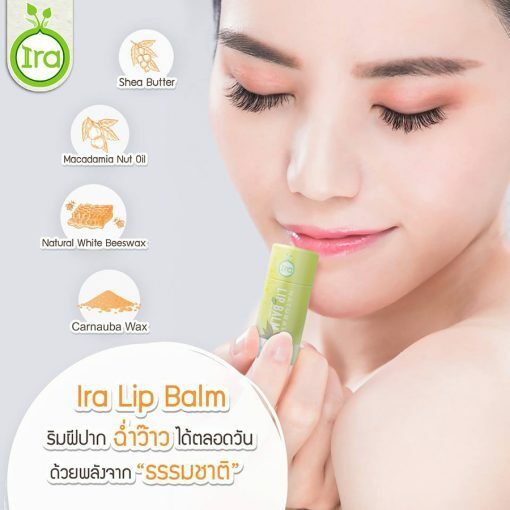 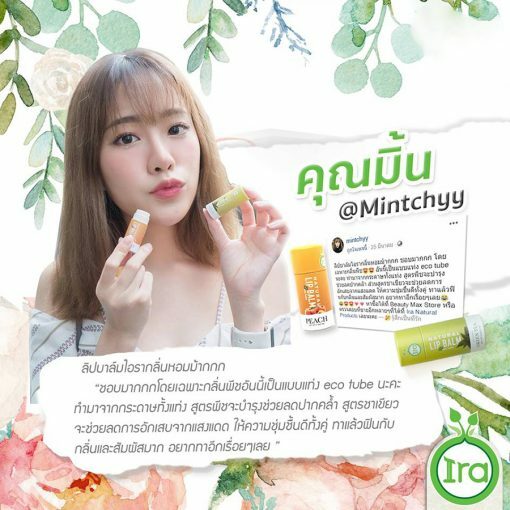 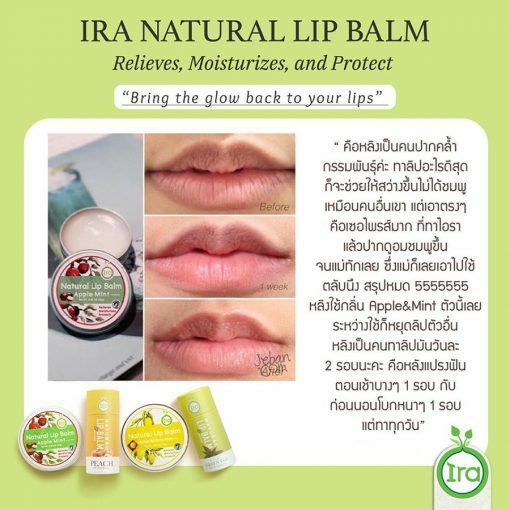 Ira Eco Tube Natural Lip Balm Green Tea Matcha fragrance is enriched with Green Tea Extract containing Polyphenols called EGCC (Epigallocatechin), which has special properties in slowing down the aging of the lips as well as preventing the inflammation of the lips that are harmed by UVA and UVB rays. 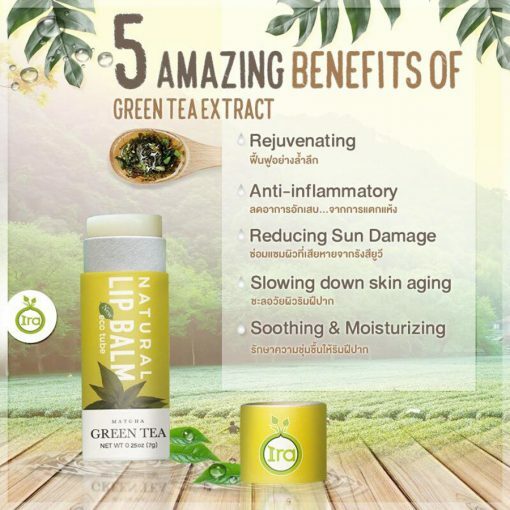 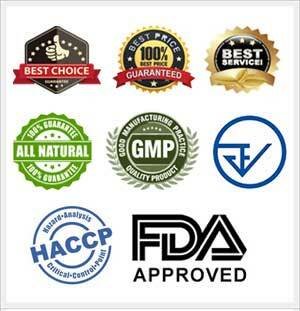 It is therefore suitable for daytime use to prevent sun damage. 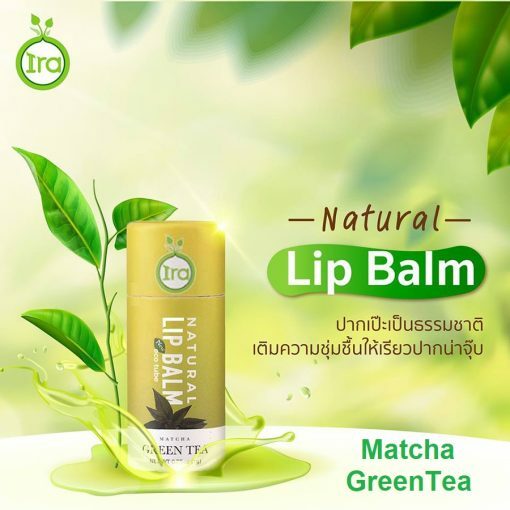 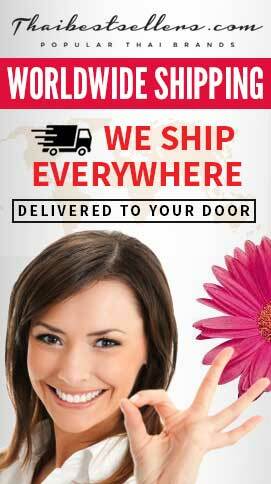 Specially, the lip container is made from 100% paper, so it can be decomposed by the nature, leaving no burden to the world. 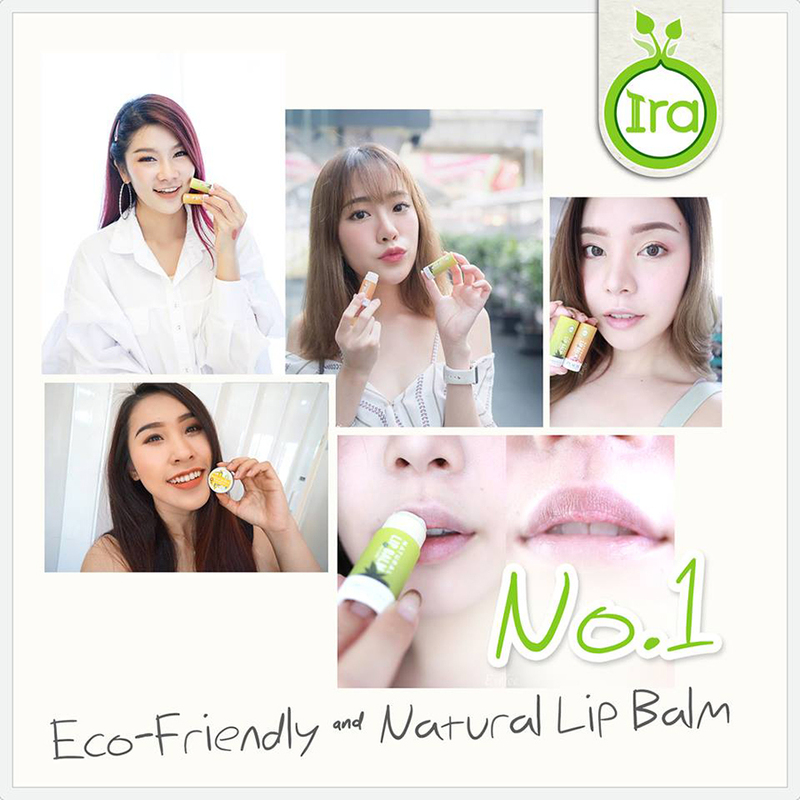 Ira Eco Tube Natural Lip Balm Green Tea Matcha fragrance is enriched with Green Tea Extract containing Polyphenols called EGCC (Epigallocatechin), which has special properties in slowing down the aging of the lips as well as preventing the inflammation of the lips that are harmed by UVA and UVB rays. It is therefore suitable for daytime use to prevent sun damage. Specially, the lip container is made from 100% paper, so it can be decomposed by the nature, leaving no burden to the world. 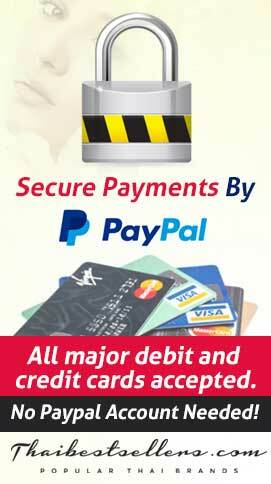 Even though it is made from paper, it is extremely durable because it is made from special paper art. The method of use is to push a little pressure from the bottom of the lipstick. 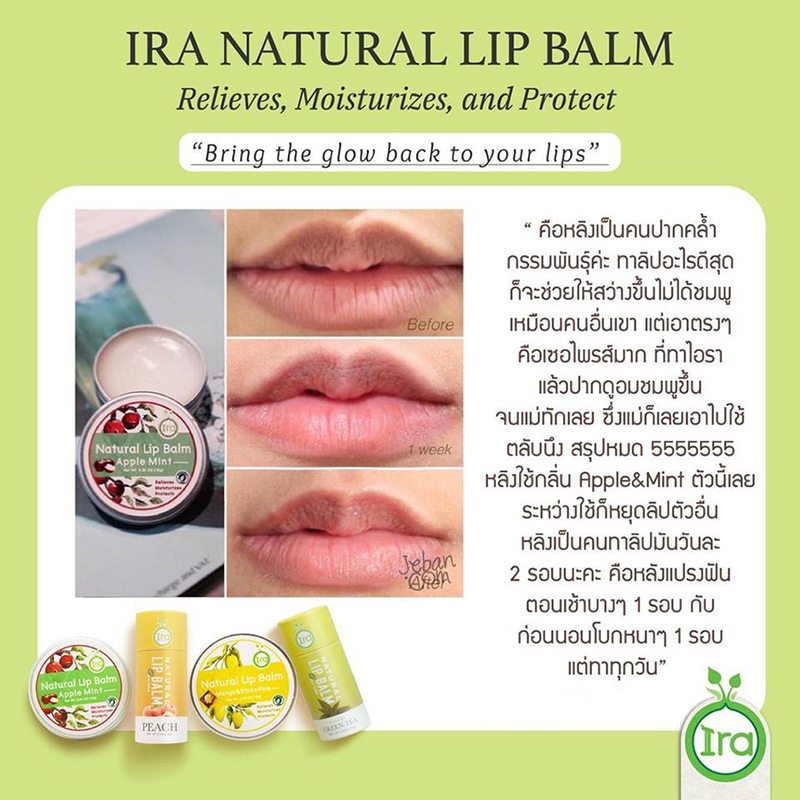 It can be used to apply on the lips, while the lid can be closed right after. 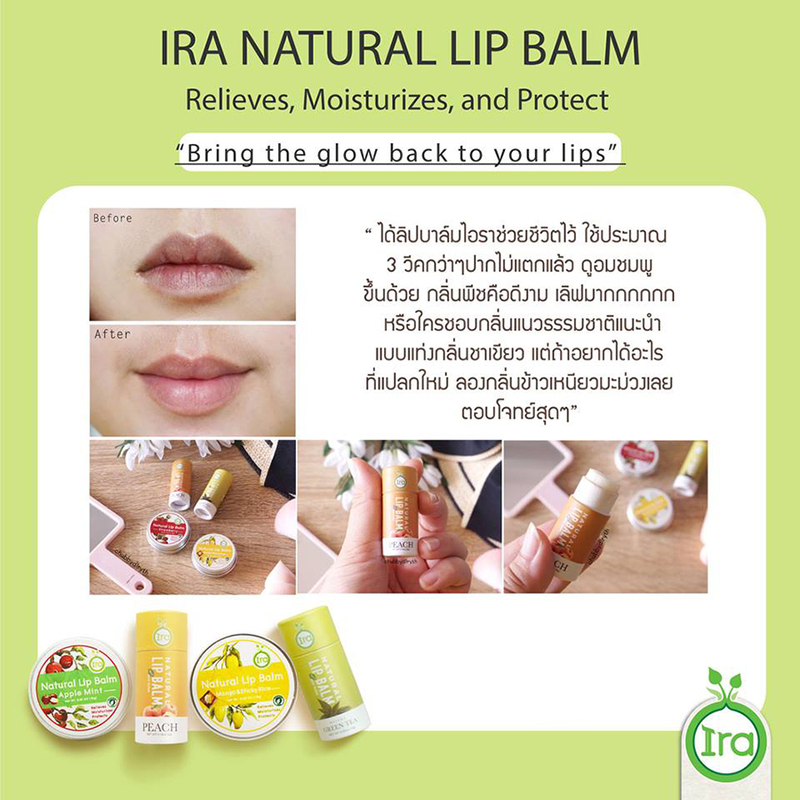 Directions: This paper lip container will use the push-up method from the bottom by pushing only 1-2 mm, which can be used to apply on the lips, while the lid can be closed right after. 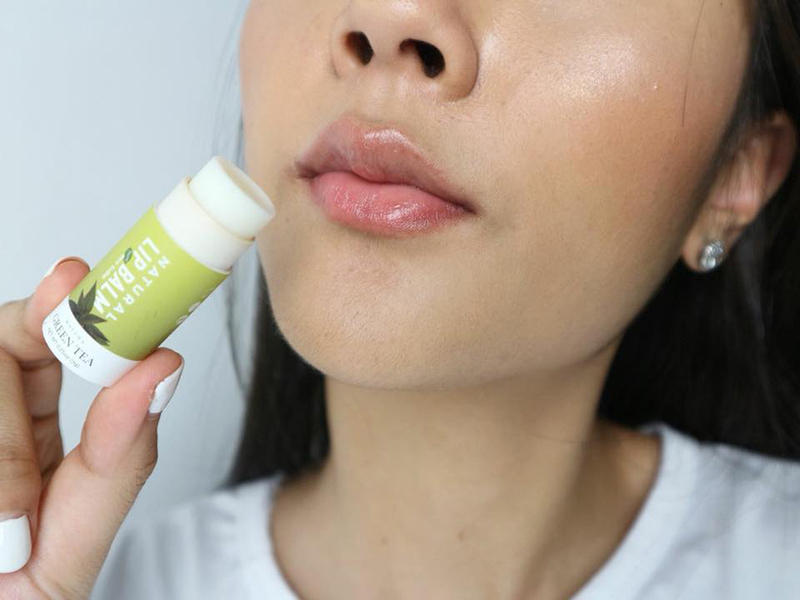 Avoid pushing the lip up too much because this paper lip container cannot push the lip texture back, so it should be pushed slightly just enough for usage. 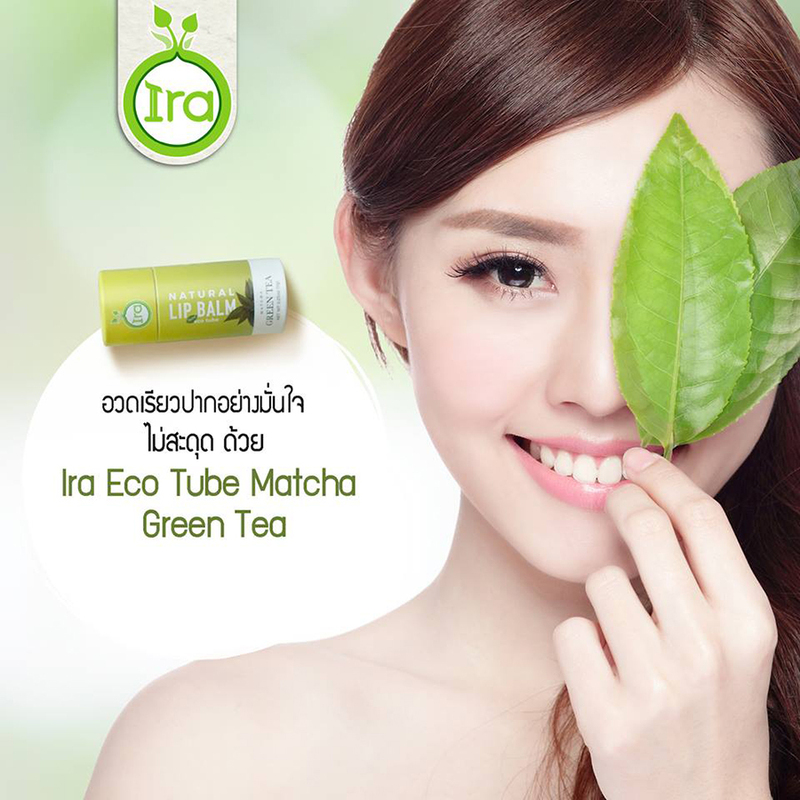 For Green Tea scent, the lock base is slightly tighter so that it doesn’t push up too much. 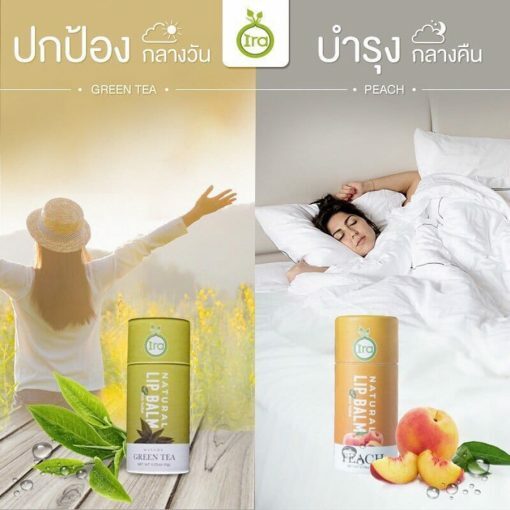 It will be difficult for pushing up only the first time, then it will be easier next time. Fonn Fonn Pure White Collagen 100% Anti-aging Beautiful & Whitening Skin 200g.